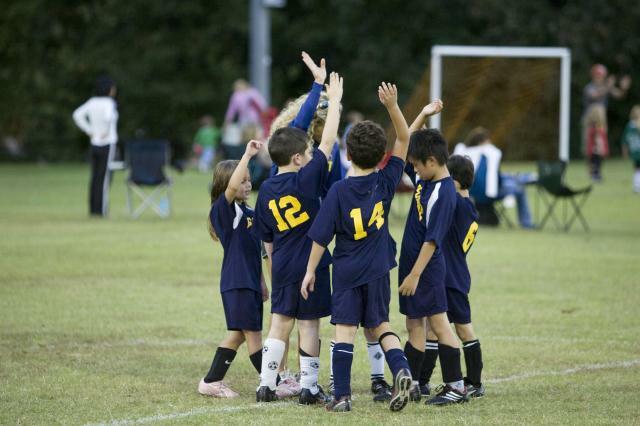 Is your child expressing interest in joining a sports team at school? If family finances and schedules permit, encourage him to participate. The life-long values gained from being part of a team are immeasurable. Follow these recommendations from the professionals to get your budding athlete off to a positive start. Not all teens are athletes. Actually, most are not. That said, the value of joining a team and working together as a group towards a common goal sets the foundation for life long skills. With a positive coach as a role model, kids learn the value and rewards of hard work. They also learn how to win and lose with grace and humility. For the most part, hard work will pay huge dividends in the sports arena. Being part of a team and building athletic skills is a marathon – not a sprint. Don’t be unfair to your budding athlete and suggest that they are an amazing player if they’re not. Let the school of hard knocks great them on the playing field. What you can do, is support and encourage their efforts and recognize their hard work and efforts. Take advantage of the terrific savings offered by Groupon coupons and ensure that they have the proper equipment and attire. Enjoy the great selection and value offered at Jimmy Jazz. Instill the importance of following instructions, showing up on time, giving it their all and supporting their team mates. All of these skills are laying the ground work for their entry into the adult world. If a teen is coachable, he’ll be coachable in his first job and that will pay off in spades. Most of all, don’t take it too seriously. It’s a sport. It’s a game. They’ll take their cues from your behavior on and off the field.